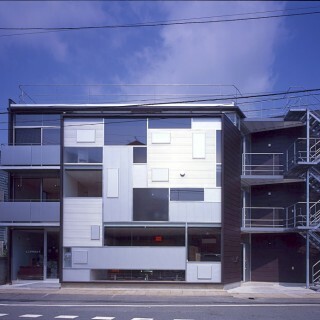 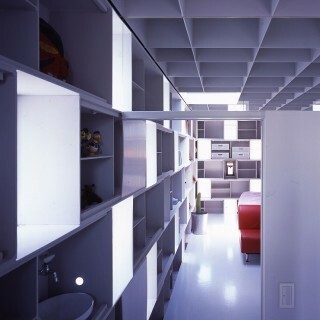 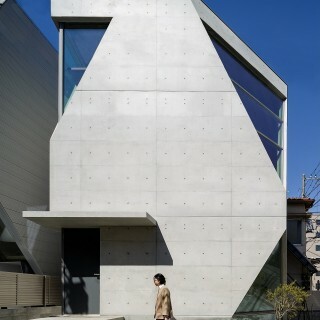 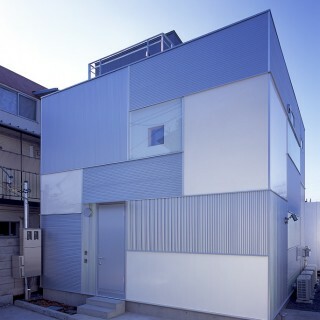 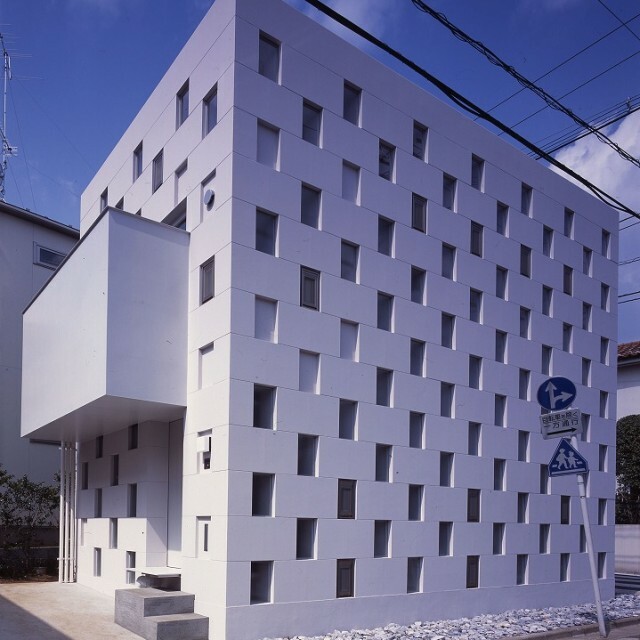 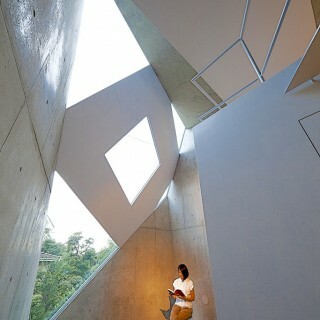 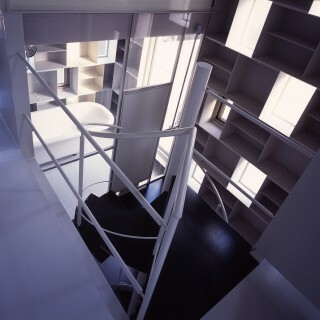 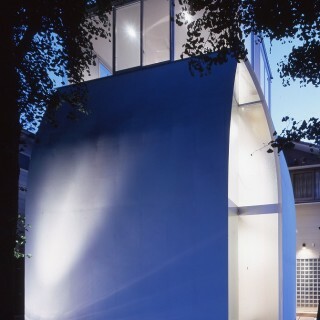 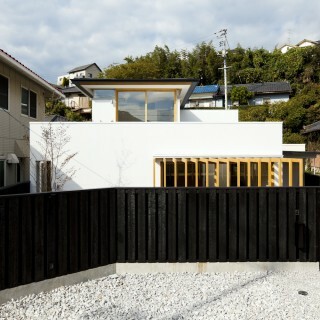 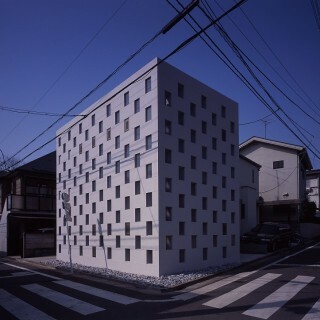 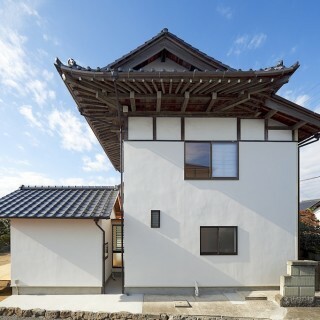 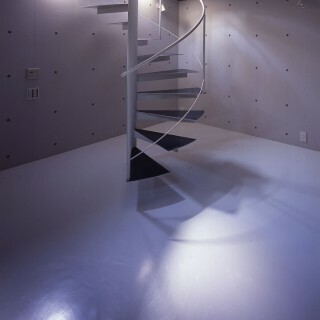 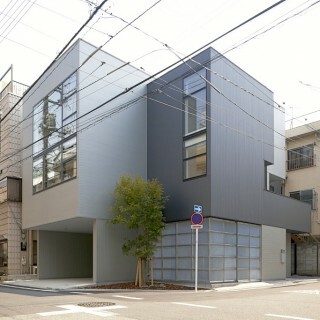 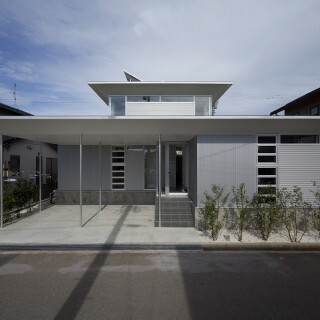 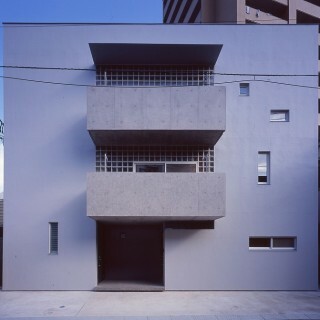 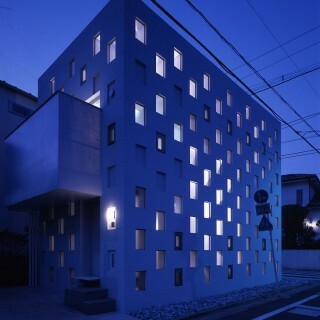 This is a house for a client and her two grown-up children located in a quiet residential district in Tokyo. 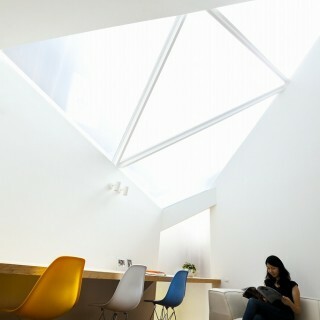 The client, who is a designer, requested for a house “out of the norm”. 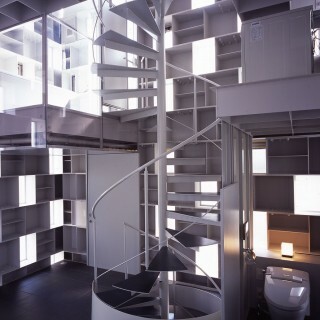 She instantly approved our design proposal of ‘stacking steel boxes’ and offered her own ideas such as a ‘floating bathroom’ and a ‘laundry space hidden inside a restroom’ and so on. 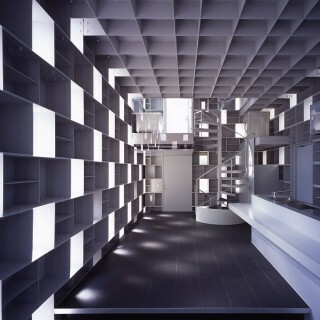 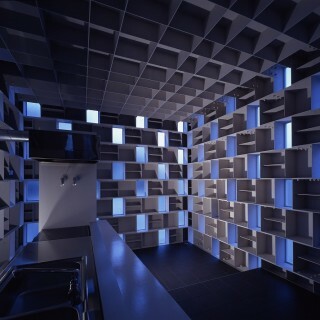 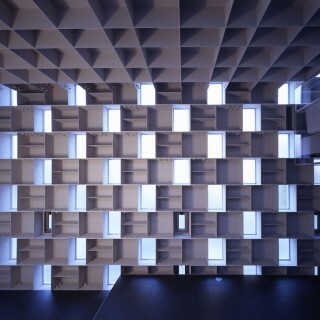 The structure is composed by stacking steel boxes (H450 x Ｗ900 x D300 x 6-9mm) in a staggered pattern. 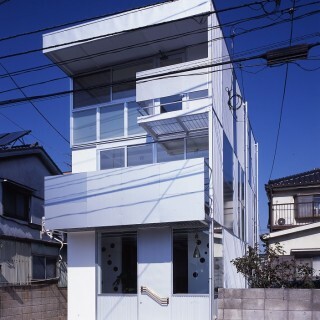 Because the two frontal roads of the site were too narrow for large construction vehicles to pass, adoption of this stacking construction method of small components turned out to be very convenient. 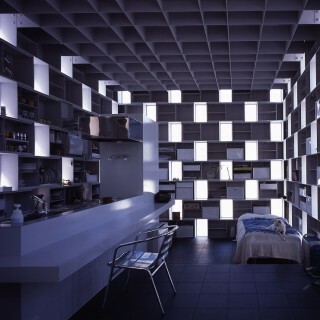 By inserting translucent and transparent glass and steel panels into the openings between the boxes, the residents can enjoy the numerous flickering lights that permeate through the slits between the boxes, as if sitting under a tree.